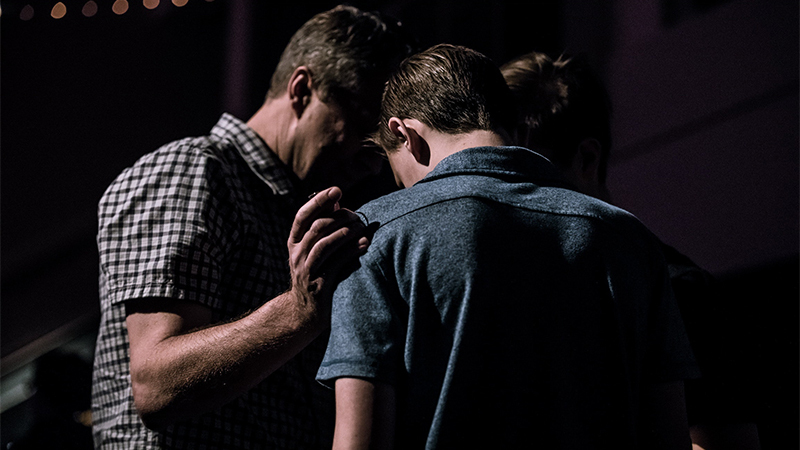 When a church has a true prophetic culture, there is a deep connection to God during congregational gatherings that result in believers getting transformed and consecrating themselves to the call of God. When there are many prophetic words but no personal transformation, folks are mainly prophesying out of their own souls and not representing God’s heart. There are several things needed to bring this kind of atmosphere into a local church. Often when I observe local church worship services it has more of a performance orientation then a worship orientation. When the focus is on performance the goal is to entertain the attendees rather than minister to the Lord. Acts 13:1-2 teach us that the Antioch Church ministered to the Lord. This is much different than merely attempting to drum up enthusiasm and hype the people emotionally. A church that learns to minister to the Lord will also have regular seasons of God speaking corporately to their local church regarding their destiny and calling. This will release a powerful prophetic culture in the congregation! Our local church has had a weekly prayer meeting for over thirty years. It is often during these meetings that God has spoken to the leaders and myself about what He is saying and doing during that season of our church life. Furthermore, we have set aside three times per year when we consecrate days for corporate fasting and prayer. During these times people are empowered, lives are changed and the church experiences a time of cleansing and repentance. A church that doesn’t have regular, vibrant prayer, is not allowing God to speak clearly and drill down deep to get at the root issues of sin and lethargy. Churches like this may have a great organizational flow and many good programs but lives are not being transformed and disciples are not being made. Like Samson of old, many churches like this would not even know it if the Holy Spirit left them. Leaders who do not live to seek God will not be able to lead the church into their prophetic destiny. Leadership not surrendered fully to living in the presence of God is left concocting mere strategies and programs that leave their congregation empty and powerless. Only leaders who seek God can usher in a prophetic culture. Many musicians and singers I have met in the body of Christ have no personal prayer life. They are committed to the church only because it gives them a platform to express their skill. Only worship leaders and musicians that seek God as a team and in private can be sensitive enough to usher in a prophetic culture in their congregation. In large congregational gatherings it is difficult for non-leaders to use this gift corporately, and when it is used to minister to another individual, there should always be a designated leader present to judge the word. God has given the church many doors to enter into His manifest presence. Many believers understand just one kind of prayer (mostly intersession or petition prayer). The greatest way for the church to be equipped to commune with God is to observe how the leaders seek God during corporate prayer gatherings. This is because this kind of anointing is better caught then taught. Believers can learn from mature God seekers the various movements of how God draws us into His presence and orchestrates corporate seeking. However, for the prophetic culture to permeate the church there should also be congregational instruction. Instruction should include topics such as; how to wait upon the lord, the difference between worship and praise, meditation upon the word of God, intersession, supplication, spiritual warfare, and the prayer of faith. The more versed a church is regarding these various ways of interacting with the Father, the more the prophetic culture will permeate that church. The lead pastor should be a voice for the Lord and not merely an echo of men. Too many pastors are too busy to seek God .The result is they often retrieve their sermons online or from commentaries. (These commentaries are good tools to inform a sermon but should not be mimicked in its entirety.) When a lead pastor is primarily a “God seeker”, he will not only study and pray to prepare to preach, but will teach out of the overflow of their robust private devotional life. Perhaps nothing creates a prophetic culture in a local church more than when people know they are going to “hear what the Spirit is saying to their church” through the preached word every Sunday. May the Lord help every true church in the world develop a prophetic culture so that we can disciple the nations. After all, it is not by power or by might but by His Spirit says the Lord (Zech. 4:7). Thanks sir Bishop JOSEPH MATTERA for the inspirational message. Calvary greetings from Nigeria. Thank you Bishop for this timely word! A prophetic culture isn’t an option for hearing what the Spirit is saying to the Church. Bishop Mattera, as you have posted point by point on how to do this, whosoever neglects pursuing this will fall into some measure to strife in the flesh in serving the Lord —having ears but can’t hear what the Spirit is saying to the Church. Blessings! Joseph, this is insightful and helpful information. This is part of the goal of our ministry as we work with various churches and networks – to help develop a prophetic culture. However, I have a suggestion. If we want an apostolic culture, we would want and need an apostle to help equip and release this among the congregation. Same for an evangelist helping to equip and release an evangelistic culture. I think it is extremely important to mention the need of prophets to be involved in some level in the developing of a prophetic culture. After all, according to Ephesians 4, that is why prophets are given to the Church as a gift. Prophets are part of the foundation of the Church. When apostles ask a prophet, “Who is your apostle”, I think the next question ought to be to the apostle, “Who is your prophet?” Thanks for all your wonderful articles. I always look forward to reading them and learning from the insight the Lord has given you. Blessings!